As massage clinics in Central Oregon seem to pop up on every corner, much like yoga studios, one question to ask yourself when looking for a long-term relationship with a therapist or clinic is whether or not you are wanting a “relaxation” massage or an effective “therapeutic” massage. In our office, although our therapists can perform both styles, we specialize in therapeutic deep tissue massage. From Myofascial Release and trigger point therapy to Neurokinetic Therapy, our therapists get down to business for much of Bend’s active community in the treatment and prevention of sports injuries. In many cases our therapists work in conjunction with a Certified Chiropractic Sports Physician for a more in depth biomechanical evaluation and treatment. 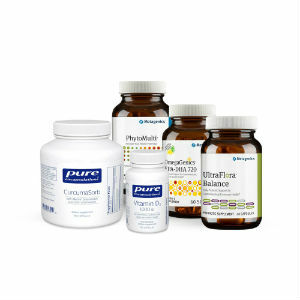 This creates the perfect complimentary treatment from a natural healthcare standpoint. Chiropractic adjustments in conjunction with active stretching after a massage further enhance the overall treatment outcome and create significantly more improvements in an individuals range of motion. While soft tissue massage and stretching help to temporarily reduce muscle tension, Chiropractic manipulation ultimately improves motion at the level of the joint. Whether it be someone’s foot, elbow or spine- if the motion at the joint is not restored, the muscles typically have to work harder to create the desired movement and eventually become tight or aggravated. The “popping” that is noticed during a Chiropractic adjustment is called a “cavitation” and is the sound of gas being released within the joint space. This allows more space within the joint for improved mobility. That’s basically the key. Restoring motion at the joint level significantly reduces muscle tension around that specific restricted joint. The additional therapeutic or postural exercises performed AFTER the anatomical correction of muscle tension and joint restrictions can further enhance postural imbalances and biomechanics.